Well y’all, I am finally back from my amazing getaway in Tulum, Mexico and it’s safe to say that I am already ready to go back. 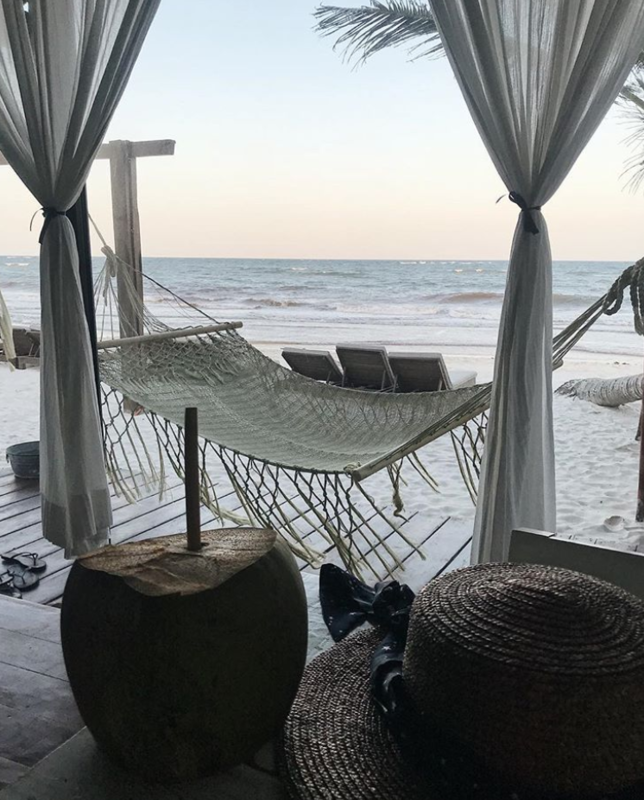 I had the opportunity to stay at the most gorgeous hotel, The Hotelito Azul Tulum, and you guys I am not kidding, this place was SO beautiful. I felt so lucky to be able to stay here for the week and enjoy this getaway with a few of my besties. The hotel itself is a chic boutique style, located in a top-rated area in Tulum, Mexico. 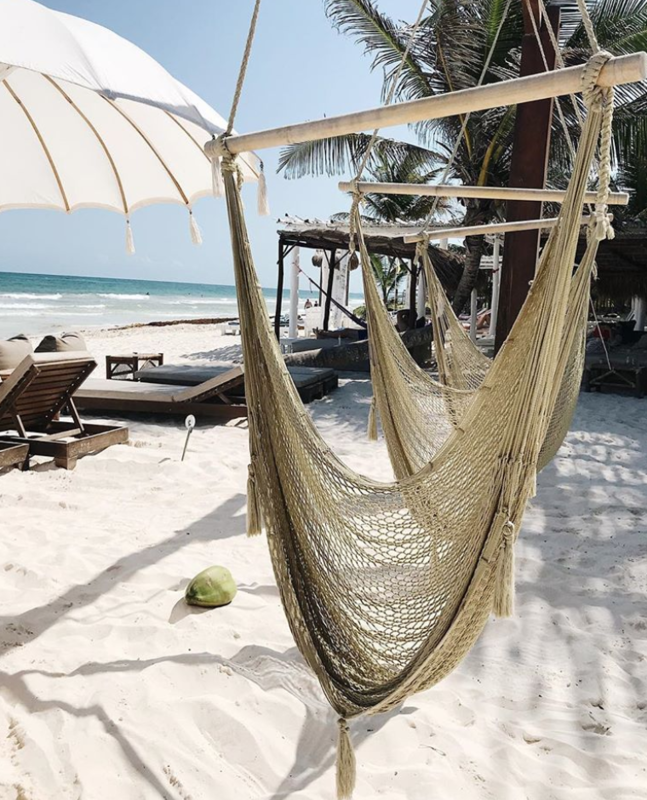 It has been newly renovated on the coast of the Mexican Caribbean near popular attractions such as the Mayan Ruins, endless beaches, cenotes and delicious restaurants. My friends and I probably could have stayed on the beach the entire time, but we did make a point to venture out and see the sights. And of course, we indulged in a delicious drink or two. 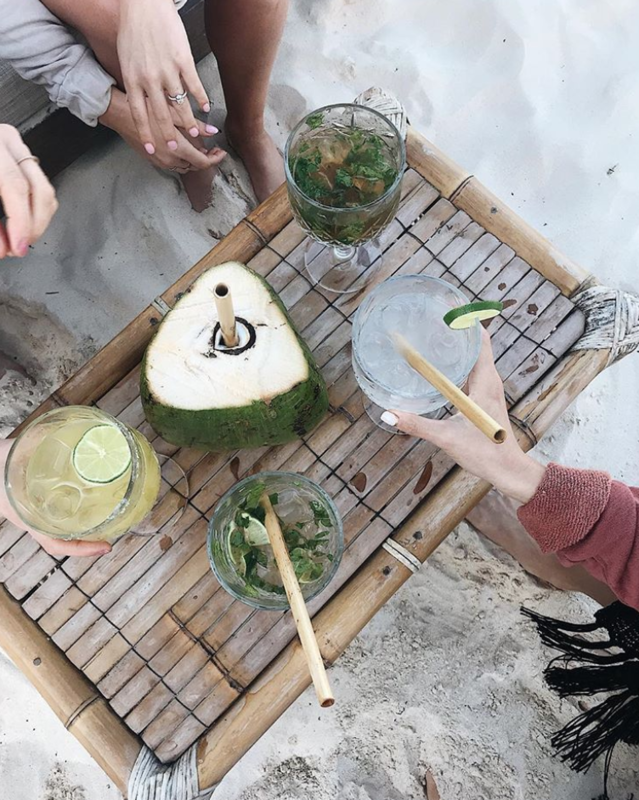 There is something about sipping out of an actual, raw coconut that instantly makes you feel somewhere far away and tropical. Plus, it’s just fun! And what would a getaway be without my bestie @joelle_fletcher by my side? The Mary Anne to my Wanda, I can always count on JoJo to make me laugh and put me in a good mood. Overall, I could not have asked for a better trip! From the hotel itself to the beautiful beaches, getting massages, to lounging by the pool… it was HEAVEN. After this vacay, I am definitely ready for summer and bikinis all day. And if any of you are looking for a fun place to get away, either for Spring Break or just because- I highly recommend looking into Hotelito Azul!